“I know a lot of people want to send blankets or water – just send your cash”. That is the quote from the speech of President George W. Bush made on Jan 16th 2010 during the meeting of three US presidents devoted to the recovery and rebuilding effort in Haiti after the catastrophic earthquake which took place 4 days earlier (Jan 12th 2010) affecting approximately 3 million people. Many of those who survived became homeless and in desperate need of various kinds of necessities including fresh water, food and clothing. Feeling the urge to help the earthquake victims some might think that the best way to do so is to send those necessities in post packages right from the local post office. Though the chances of that stuff reaching the inhabitants of the devastated area are not low, the difficulties associated with the state of distribution network on the ground, the retail prices of goods purchased and shipping costs make one think that the money could have been spent more efficiently and the aid could have been delivered faster. Furthermore however indispensable food and water are it is not enough. Medical aid, reconstruction works, building materials, management and supervision – all of it needs steady financing. In order to secure that financing President Bush and President Clinton established Clinton Bush Haiti Fund http://www.clintonbushhaitifund.org. During its operation, which was concluded on Dec 31st 2012, the Fund raised nearly $54.5 million in total. Much of the donations were made online. Over the last few years online donations have become quick and hassle-free means for giving support to victims of natural disasters, for expressing political views, exerting an impact on elections outcomes, maintaining independent operations of non-profit organizations and projects (e.g. Wikipedia), providing micro financing to small businesses and enterprises in poverty-stricken countries. The simplicity of online money transfer impels more and more people to make spontaneous spur-of-the-moment donations right after they heard or read about the causes for it. It also gives opportunities for those seeking pecuniary help not only to get their ideas across to others but to turn moral support into bank account figures. During his 2008 campaign for the White House then-Senator Barack Obama managed to raise over half a billion dollars online. More than 6.5 million donations were made by approximately 3 million people; sums of 6 million donations did not exceed $100; half of the contributions were made in increments of $200 or less and the average online donation amounted to $80. Also an average Obama supporter donated more than once. Immense as the sum gathered was in 2008 it was surpassed in 2012 during Obama’s second presidential campaign ($690 million raised online) despite the President approval rating having been going down. His rival – Mitt Romney – didn’t do quite as well but still was lucky enough to collect $182 million online which is of course a huge sum in itself. An average online donation of $80 helped to determine the results of 2008 general elections in the US. 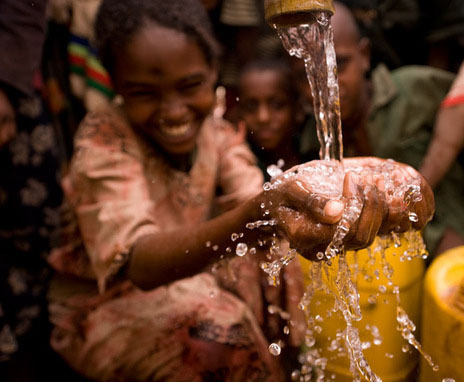 When it comes to needy African states even as little as $10 can make a difference. According to Aid for Africa – a partnership of 85 charity organizations http://www.aidforafrica.org, donation of $10 can provide 10 children with “an effective treatment for malaria”, “protect 500 old grown trees for 1 year” and “send $200 worth of medical supplies to Africa”. $20 is enough to purchase 52 books for schoolchildren. If you donate $30 one more person will have a cataract surgery and regain sight. $100 can buy goats for 2 families so that their kids don’t go to bed hungry. As strange as it sounds, donating money can pay off. Pledging to transfer part of the price to this or that non-profit may turn out to be as efficient way to increase sales rates as running an ordinary ad campaign. Making the customers believe that buying your product allows them to fulfill their noble philanthropic intentions may become a strong incentive for them to choose you among other vendors. Doing business with you not only will benefit them as buyers but, in a way, will also gratify their sense of compassion, duty and public responsibility. Your company is new and cannot boast to have an established reputation? Not a problem. Other companies have seen to it that donating is easy for both buyer and seller irrespective of their business scales or financial recourses. For instance, eBay Giving Works http://givingworks.ebay.com/ offers a pretty simple way to get your company and your customers involved in online donating. The seller chooses a cause to support (among thousands of available and the list keeps expanding), defines donation percentage and actually starts putting the stuff on sale. So far almost $300 million dollars were raised via this service and no one knows (perhaps, except eBay) how much was made by the sellers. If you decide to start donating online – here are some tips. Dig the information before giving. Try to find out as much about the cause as possible. Make sure you do not get conned out of you fair buck by Internet crooks. Make sure your buck goes to the right place and helps those who either really need it or who you honestly sympathize with. Prioritize your donations. You can’t help every cause and probably not every cause deserves the help. If money do not go directly to the aid recipients’ accounts – make sure the operating expenses are kept low. By the way, PayPal Giving Fund that supports the above mentioned eBay Giving Works, ensures that 100% of each donation reaches the chosen non-profit. Don’t be silent. Some people prefer not to tell others about donations they make out of modesty. Doing good and not telling anybody might be considered lofty but it is not going to help those who need aid. Maybe your friends would have been giving generously and adding their support to yours had they known the cause you have been donating to? Of course the sum doesn’t have to be specified. Also the level of interest you take in the cause (if delivered efficiently) might serve as an additional incitement to those who haven’t made up their minds yet.